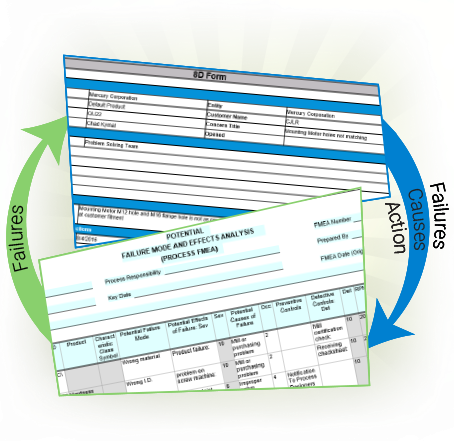 FMEA & Problem Solving are two integral elements for improving Enterprise performance through improving Product/Process Quality, Reliability, Reduced Development time, Reduced Warranty and Claims and much more. Without Integrated FMEA & Problem Solving software, the value of utilizing FMEA and Problem Solving for your organization is lost. Omnex Enterprise APQP Suite integrates FMEA & Problem Solving seamlessly for a perfect Tango! Online 8D forms with Problem Solving tools like 5Why, 5W-2H, Is-Is Not, Possible Cause, Fish Bone etc..
50% improvement in product & process quality, customer complaints & warranty issues.